A look back at the incidents that have caused friction in Tehran-Riyadh relations in the last century. Iran and Saudi Arabia are two key Islamic countries in the region. They have many things in common and at the same time do not see eye to eye over many others. Over the last century, their relations have gone through ups and downs. At times they have been rivals and at others they have enjoyed friendly relations; sometimes they have been hostile to each other, and sometimes they have had close cooperation. 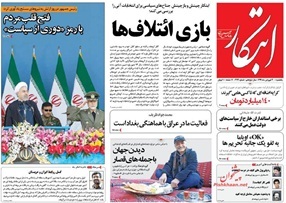 In short, Tehran-Riyadh relations have been like a roller coaster ride. If we put aside interactive relations between the two nations and the slightly positive results they have produced, what remains is a number of bitter developments that have jolted bilateral ties in the last century. 1. The decapitation of an Iranian national in Saudi Arabia: In 1943, Abutalib Yazdi, an Iranian Hajj pilgrim felt sick and puked while circumambulating the Kaaba. He tried to cover his mouth with his Ihram dress, but unfortunately some vomit fell to the ground. A number of Wahhabis took him to Saudi guards. In the aftermath of the bitter incident, the two countries severed ties and a ban was slapped on Hajj pilgrimage. It was lifted in 1948 when Iran and Saudi Arabia reestablished relations. 2. Iran-Iraq war: In 1980 when Saddam invaded Iran, Riyadh lent political and financial support to Iraq. It did not matter to the Saudis who the aggressor was or that both Iran and Iraq were Islamic countries. What was important to them was that an Arab country was at war with a non-Arab nation. Riyadh had taken it upon itself to back the Arab country at any cost. Back then, humanity or Islamism was not at issue; rather, ethnic and tribal prejudices were important. 3. Tragic martyrdom of Iranian Hajj pilgrims: In bloody clashes in 1987 in Mecca, 275 Iranian pilgrims were martyred. The killing deeply hurt the sentiments of the Iranian nation. Some in Tehran staged protest rallies outside the Saudi embassy and that led to a breakdown in Iran-Saudi relations. 4. Post-Saddam Iraq and Iran: After the US invasion of Iraq and the ouster of Saddam, Shiites secured an overwhelming vote, rose to power and became more inclined toward Iran, a tendency which annoyed the Saudis, and soured relations between Tehran and Riyadh. 5. Cut off the head of the snake: A few years ago, WikiLeaks, a whistleblowing website, in a report revealed that Saudi King Abdullah appealed to America in 2008 to attack Iran, describing what he called “cutting off the head of the snake” as a necessity. The revelation hurt the sentiments of Iranian nation and authorities, a bitter incident which is still engraved in the memory of the Iranian people. 6. The 33-day war with Israel; the victory of Lebanon’s Hezbollah: Popularity and influence of Hezbollah in Lebanon has always worried Saudi Arabia. During the 33-day war, backed by America, Israel sought to finish off Hezbollah once and for all. Back then, Condoleezza Rice, the US secretary of state, said no to negotiations, to any agreements, and to any ceasefire, only pressing for the disarmament of Hezbollah. However, following 33 days of fighting, it dawned on them that they should think of a way to save Israel from drowning in the quagmire. It was the first time that one of the world’s most dreaded armies was brought to its knees. Deep down, Riyadh was dismayed at the defeat. Resentment toward Iran and Hezbollah can be clearly seen in the harsh statements of Saudi Foreign Minister Saud al-Faisal about Lebanon in a meeting of Arab foreign ministers in 2008 where he said that Iran was running the war and that Hezbollah sought to introduce the Rule of Jurisprudence in Lebanon. The comments drew strong criticism from Yousef al-Ahmad, the former Syrian minister of state, who objected to Faisal wondering whether the Saudi official wanted to sell his own idea that Iran, not Israel, which killed children daily, was the enemy of the Arabs. He lashed out at the Saudi foreign minister for sitting on his hands and doing nothing while Israel kept dropping bombs on Lebanon during the 33-day war. Ahmad asked Faisal why he did not favor the notion of dispatching troops to fight off the Israeli aggression. 7. Iran and Oman: Oman is a Persian Gulf Arab state. Basically Riyadh expects Muscat to back the Saudi stand in its relations with Iran. During President Rouhani’s visit to Oman, a contract on construction of a natural-gas pipeline was signed between the two countries. Bloomberg called the deal the latest sign that Saudi Arabia is failing to bind its smaller Persian Gulf neighbors into a tighter bloc united in hostility to the Islamic Republic. Christopher M. Davidson in his book, After the Sheikhs: The Coming Collapse of the [Persian] Gulf Monarchies, said that Qaboos, the Sultan of Oman, has opted for a safe path and turned into an intermediary who tries to help Tehran-Washington relations improve. He goes on to describe Sultan Qaboos as the most intelligent Persian Gulf Arab leader who does not want to unite with Saudi Arabia. A visit by Iranian Foreign Minister Mohammad Javad Zarif to Oman along with Oman’s failure to join the Saudi-led military campaign in Yemen has exposed the deepening rift between the two regional powers. 8. Bahrain, Iran and Saudi Arabia: Bahrain is a Shiite-majority country, but a Sunni minority backed by Riyadh rules the country. In line with democratic principles advocated by the West, Bahraini people want their rights respected. But the West has either remained tight-lipped or has backed the minority, and consequently the House of Khalifa has launched a crackdown on the Bahraini people. Riyadh has sent its tanks to Bahrain to support Manama and has practically taken control of the country. 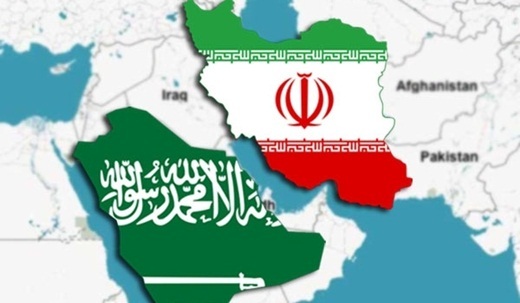 The Saudis claim that Iran plays a role in protests, and Tehran condemns [Saudi] aggression against Bahrain as well as the failure [of minority rulers] to recognize the rights of the majority. 9. Syria’s war: The Syrian government and the opposition have been involved in a bloody and destructive civil war for a few years. Tehran supports Bashar al-Assad, while Riyadh backs the opposition in whose ranks are al-Qaeda and IS fighters and provides financial, political and military aid to them. The Gordian knot is yet to be untied. 10. Sexual assault on two Iranian teenagers: The incident at the Jeddah airport wheretwo Saudi airport guards molested two Iranian teens infuriated the Iranian people and dealt a blow to the reputation of the Saudis, a case which Iranian officials are still vigorously following up. Unfortunately, disagreement over such issues still persists, but people should be vigilant and avoid moving faster than their officials in pursuit of their rights. The public should stand up for their rights while taking steps in tandem with the government.